Jurate Baltrusaityte, the chief commercial officer of Lithuanian Airports, the company that manages all the airports in Lithuania, discussed Lithuania’s experience of negotiations with Ryanair in an interview with the CFTS portal. The Kaunas airport in Lithuania was the first airport in a post-Soviet state to which the largest low-cost airline in Europe, Ryanair, launched flights in 2005. The airport later became the airline’s first base in Eastern Europe. 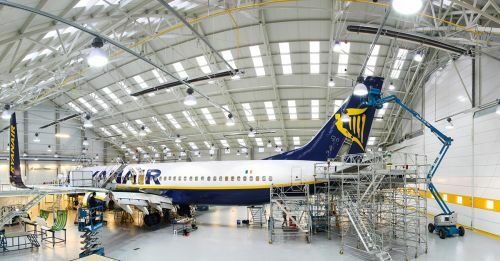 Ryanair opened an aircraft repair center at the Kaunas airport in 2011. The airline has had bases at two airports in the country – the Vilnius and Kaunas airports – since last year. It also operates flights from the Palanga resort. We asked Baltrusaityte to share her experience of negotiations with Ryanair. What was the Kaunas airport like when you arrived there in 2003? It was a small passenger airport with Air Lietuva as the base airline and several cargo charters. 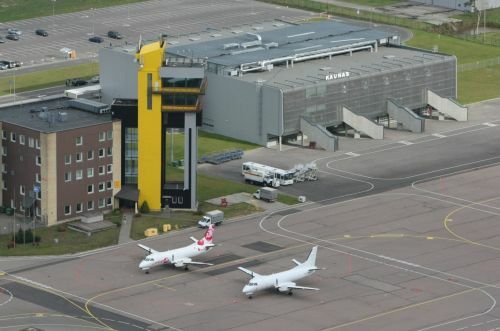 The annual passenger traffic through the Kaunas airport was slightly more than 27,000 while the passenger traffic through the Vilnius airport was already more than one million a year. The Air Lietuva airline went bankrupt in 2005 and left the market. It was necessary to do something. The then head of the airport and I began "chasing" Ryanair in 2003. This was before Lithuania joined the European Union and Ryanair did not fly to the Baltic countries states Poland at that time. Why Ryanair? Indeed, to Ryanair, we were the "Wild West" in the East of Europe and an absolutely unknown and incomprehensible land. At that time, the entire region operated based on the classic model, in which national carriers dominated and there was a base carrier at every airport in Lithuania: Lithuanian Airlines at the Vilnius airport and Air Lietuva at the Kaunas airport. However, even at that time, there was a clear tendency toward development of budget airlines. It was evident that Ryanair was growing and not only on its home market. Of course, we were not yet in the European Union at that time (we joined in May 2005), there was no economic growth, and the movement of workers and passengers was not so free. The conditions were completely different. When you went to Ryanair, what did they know about Lithuania in general? They know little. We are a small country and a small market. Not only Ryanair: we had to spend a lot of time explaining to many air carriers that a country called Lithuania existed and that people here also traveled by air, flew business class, and that there were also tourists here. We have a sea, but it is cold; beautiful beaches, but the season is very sh. It is more difficult to sell this to tourists than a place with a warm sea. It began with a telephone call that I made to the Ryanair airline’s then new-route development manager Bernard Berger. My call found him in Warsaw and he had an excellent knowledge of geography. When he heard Kaunas, he knew where it was in Lithuania. That was already impressive because other airlines did not know about us or, at best, had heard something. 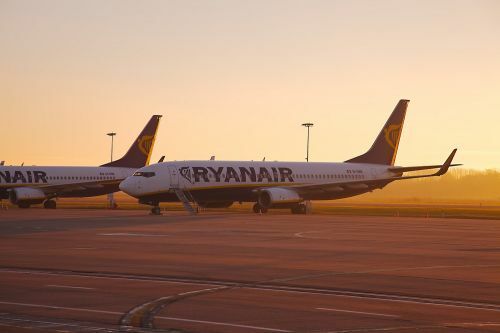 Berger always thought very broadly, and the policy of Ryanair at that time was very clear: they chose small secondary airports that would pay special attention to them and realize immediately that only Ryanair could generate passenger traffic. The costs of services at these airports were very low, which fit into the airline's cost-cutting policy very well. Now, we are seeing that Ryanair has turned toward central airports and that it has even entered the Frankfurt International Airport this season. Yes, this demonstrates the evolutionary and even revolutionary changes in the policy of Ryanair. It is not so easy to develop based on the old model of a strictly low-cost airline, and they are moving into other niches and other airports. However, this transition requires the company to review its entire operating model very significantly. At the same time, the airline can sell flights from such airports more expensively and this justifies their high costs at major airports, compared with their costs at secondary airports. How did market participants and politicians react to the arrival of Ryanair in Lithuania at the time: the Vilnius airport, the national carrier Lithuanian Airlines, the government, the minister of transport? There was strong resistance. I will say that my boss – the then director of the Kaunas airport, Mr. Skidailo – became an "enemy of the people." He really thought in a revolutionary way at that time, and I respect him for his courage and desire to make the airport better and larger by opening it to budget airlines. Undoubtedly, very many people thought he was destroying the foundations of the state at the time. How ready was the airport itself? It was a small terminal, from which Kaunas grew very quickly. Now it is used for other purposes. A new terminal was opened in the summer of 2008 ahead of Lithuania's accession to the Schengen zone. Then, Ryanair opened its 40th base in Kaunas in summer 2010. It was Ryanair’s first base in Eastern Europe. Ryanair now has 85 bases. 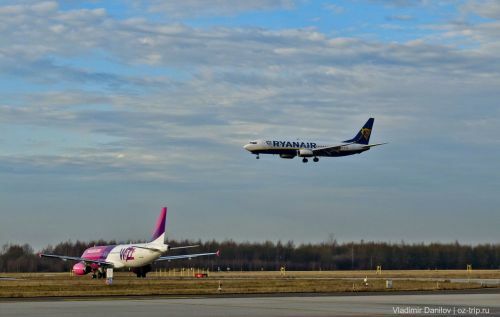 When opening the base, did Ryanair assume certain obligations other than generating a certain volume of passenger traffic: for example, investment in something at the airport, creation of jobs in Lithuania, or employment of Lithuanian crews? Like other airlines, they did not make any employment commitments in connection with the opening of the base. We do not have the ability to impose anything as serious as that on airlines. On the other hand, unfortunately, the training of aviation personnel here lags very far behind the needs of airlines and there is a shortage of personnel. In such a situation, it would be illogical to demand something from airlines with the aim of protecting the local labor market. At the same time, these airlines are reliable employers and it is easier and more convenient for them to work with local personnel when creating a base. Now, we see that 90% of the Wizzair airline’s Vilnius-based crews are local pilots and flight attendants. In the case of Ryanair, the proportion is lower, but they also have many Lithuanian pilots and, particularly flight attendants, who already make up the majority of its crews. We are a small country and we have always had to be flexible. One must not go too far. For example, Ryanair opened its base at the Copenhagen airport last year and the Danish government set the standard local requirement for the airline: conclude a collective agreement with the trade union. Ryanair provided its standard response to this requirement: "No, we do not have such agreements anywhere, and we will not set a precedent.” As a result, the airline had to close the base in Copenhagen very quickly. It now operates flights to this airport from other bases located in other countries. It has limited its plans for development of flights to this destination. How did Ryanair's aircraft repair enterprise appear in Kaunas? Lithuania has a good history of aircraft maintenance. Several large enterprises have been operating here for a long time. Most Lithuanian airlines have their own aircraft maintenance units. During the talks on opening its base at the airport, Ryanair expressed the desire to have a hangar at the airport for organizing its own MRO. However, we did not have a hangar that was ready. Ryanair built its own hangars after winning a tender for lease of a state plot of land. 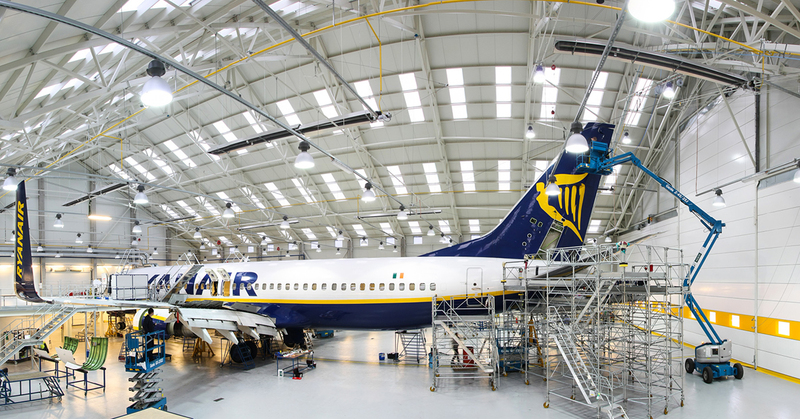 Ryanair’s aircraft maintenance center in Kaunas began operating in autumn 2011. Initially for one airplane and later expanded to accommodate one more. They are now operating at full capacity and are preparing to expand further. Then they really made a commitment to create a significant number of jobs for aviation personnel, and they have since exceeded all the commitments they made. What kind of assistance and subsidies did Ryanair receive in Lithuania? Their model evolved and with it, their desires and requirements for help changed. Ryanair was offered very low service fees to encourage it to come to the Kaunas airport and start operating flights. The airport itself did not provide ground-handling services. It was a trilateral decision by the airline, the airport, and the private ground handling company, which also took on a very big risk by offering such low fees. Regional authorities were very heavily involved in the launching and popularization of flights, including by investing in advertisement of routes. The city and the region helped very much in preparing the infrastructure for the opening of Ryanair’s base and subsequently the opening of its MRO. We are now seeing how the region is strongly benefiting from the positive effects of the influx of tourists, the increased transport accessibility, and the mobility and accessibility of the diaspora. Unfortunately, there is no national air carrier in in Lithuania. Therefore, we do not need to protect the local market from foreign airlines. 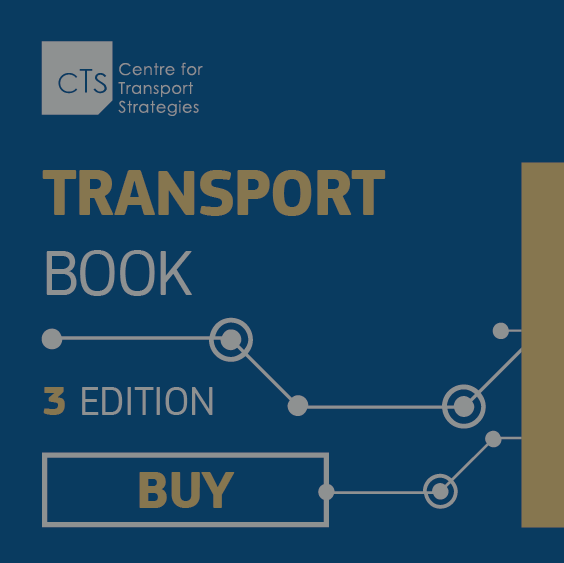 We now operate based on a publicly announced and absolutely transparent scheme for servicing carriers. All airlines operate under the same conditions. That is, if a low-cost airline and a network carrier fly from the same number of Lithuanian airports on the same number of routes and carry the same number of passengers, then pricing conditions will be the same for them at airports. Ryanair has no advantages over the other carriers in this case, except for the fact that it flies from all the three Lithuanian airports to 36 destinations and carries about 2 million passengers per year. What was the situation regarding Wizzair? This is another story. Wizzair was a startup at that time (2003-2005). Both airlines wanted to fly to London, which was already the obvious No. 1 market at that time. Ryanair was the first to begin and Wizzair abandoned plans to operate flights to England because it was afraid of direct competition. However, it is now clear that there would have been enough room for everyone on the market (Lithuania-Britain flights) at that time. As a result, Wizzair launched a flight from Kaunas to Warsaw, which its main base in the region, from where it offered flights on in-demand routes. However, the market and passengers were not yet ready for this type of connect flights at that time. Passengers simply did not know how to do this at that time. In the end, Wizzair left the Lithuanian market quite quickly and began focusing on other markets. However, Wizzair later returned to Lithuania. It is now an airline that is very strong and growing very successfully. How did Ryanair react to the arrival of Wizzair in Vilnius in spring 2011? Ryanair made it very clear that this was its market and that it did not intend to give ground. The airlines engaged in a real price war: it was simply a "bloodbath," according to one of their competitors. They moved shoulder to shoulder, launched flights on the same routes, lowered prices, and passengers were delighted. Ryanair announced that it was entering the Vilnius airport in autumn 2011. The fact is that Ryanair enters a market on its own terms. It can afford to do this because it is a large and powerful airline that knows that it can definitely generate the declared passenger traffic. How did this affect the operations of airports? Of course, passenger traffic increased very significantly, especially in Vilnius. The arrival of the low-cost airline against the backdrop of the outbreak of the global economic crisis and a local cataclysm (the bankruptcy of the national air carrier) definitely saved the situation. It is true that airports had to pay dearly for this in terms of their financial performance. All of them were on the verge of or beyond the breakeven point. In general, all this served as an impetus to merge the Lithuanian airports into a single entity. This has proven to be very justified. Our company has been paying solid dividends to the government for the second consecutive year. 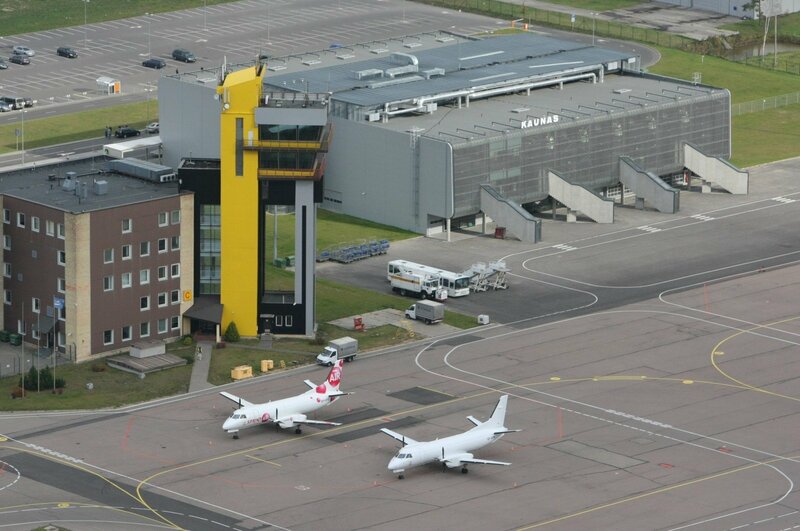 Are all Lithuanian airports now profitable? Palanga is just above the waterline and Kaunas still needs to raise its game. Although, the passenger traffic in Palanga is three times higher than in Palanga, it is generated exclusively by low-cost airlines. By comparison, the traditional network airlines (SAS, AirBaltic, Rusline, and, since last year, LOT, UIA, and Belavia) have a very strong presence in Palanga. Does this mean that a single manager now holds talks with Ryanair on behalf of all the airports? The arrival of Ryanair in Ukraine also has significant political importance, and it is often used to pressure airport directors into reaching agreement with the airline on any terms. What do you think about this strategy for negotiating with Ryanair? Knowing Ukraine's clear desire to attract the budget airline, it is necessary to think about stable long-term agreements that would be beneficial to both sides. A development policy for many years should be planned. A very clear understanding of what the state’s policy and tasks are is also necessary: to increase passenger traffic, increase the number of flights, develop flights to the regions, generate maximum profit from existing airports, and protect local airlines and the labor market. Important strategic decisions should then be made based on what the state needs, including decisions on the conditions for working with the budget airline. The idea that any condition set by the airline should be accepted now and then improved later is just an empty dream. One must not think that such a big and powerful company like Ryanair can be outwitted. It should also be remembered that time flies very quickly. How long did it take you to conclude an agreement with Ryanair? We do not conclude contracts with airlines under separate conditions. We work under the same general conditions for all airlines, and these conditions are absolutely transparent and disclosed publicly. Which destination low-cost airlines launched from Ukraine in 2018?